Good morning dear tea friends! It’s beginning to look a lot like a New England winter around here. Up until this week, we’ve been blessed with mild temps and…should I speak the words?….oh dear…no snow. There. I said it. Well, it’s finally happened and the white stuff is gently falling from the sky, blanketing everything. Compared with our last winter though this is nothin, folks. Ok, on to tea. 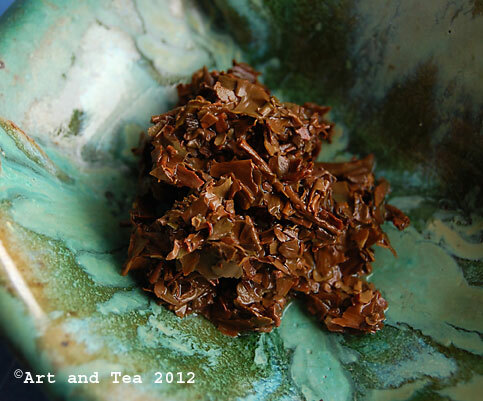 This morning’s tea is a good solid everyday broken leaf second flush Darjeeling from the Margaret’s Hope estate. 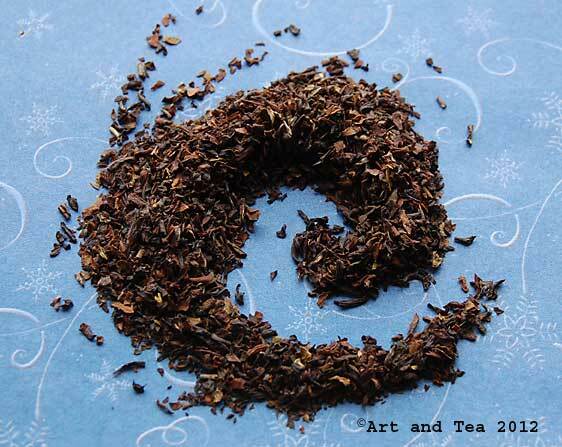 Some folks like to avoid the broken leaf Darjeelings because they steep very fast and if you don’t catch it in time, tend to get quite bitter. As opposed to a tea like a China black say, where you can oversteep with no bitter consequences. Do you know how this tea garden got its beautiful name? Story has it that in the 1930s, the garden was owned by a Mr. Bagdon who, with his two daughters, sailed from England to India to visit the garden. The younger daughter, Margaret, fell in love with the estate and hoped that some day she could return. It was not to be, however, as she became ill and died on the return voyage home. In her memory, her father named the estate Margaret’s Hope. What a poignant story. 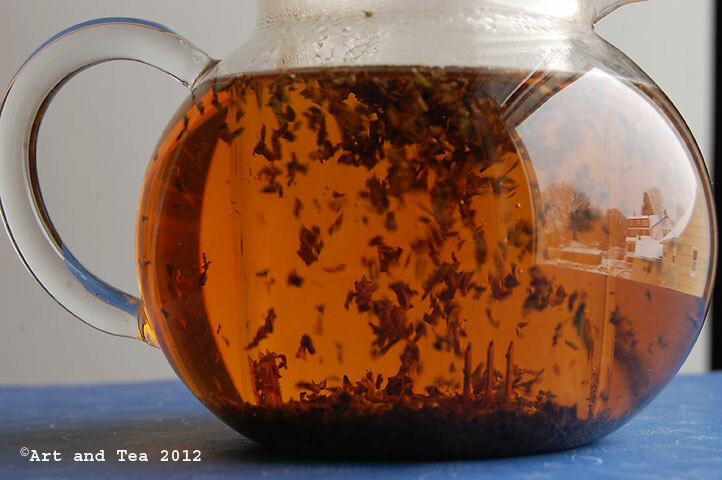 Both the wet leaf and the tea give off a mild fruity aroma. There’s not much complexity to this tea but I think that it’s a wonderful value for a Darjeeling tea you can drink everyday. The flavor of the deep amber-colored liquor is rich and full with hints of fruit. What strikes me the most about this tea is how incredibly smooth it is with no lingering bite. As long as you go easy on the steep time, this tea delivers a flavor and smoothness I’ve not experienced in most BOP Darjeelings. I think this selection would also make a wonderful iced tea for all of you lucky tea lovers who are not gazing out onto a world of snow and ice as I am right now. Another one to place on my list to audition for iced tea when the weather warms up. Ok, time for another cup and then it’s time to think about going outside and picking up my shovel. Next Saturday is my art guild meeting so I won’t be able to review a new tea, however, I’ll be sure and repost another oldie but goodie for you. Have a wonderful week and stay warm and dry, cup of tea in hand! Around the radiant fireplace, enclosed In a tumultuous privacy of storm. 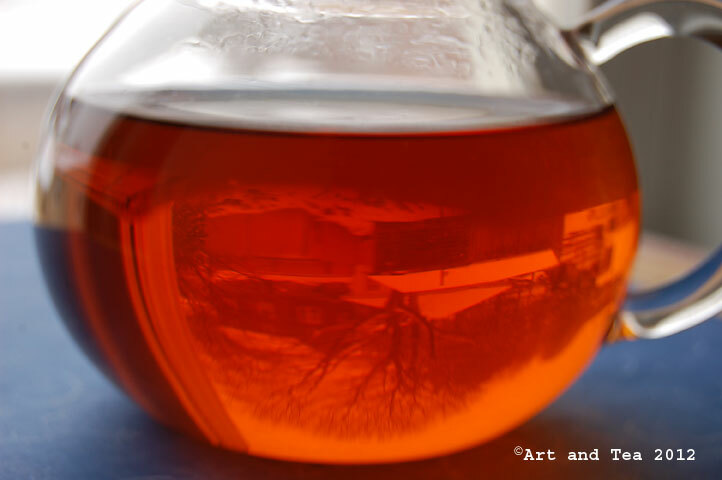 This entry was posted in Black Tea, Darjeeling Tea, Photography, Tea and tagged Margaret's Hope Darjeeling. Love that swirl! We had snow, too, then rain – and it all turned into two inches of slush that hung around for an amazingly long time. Stay warm and dry! 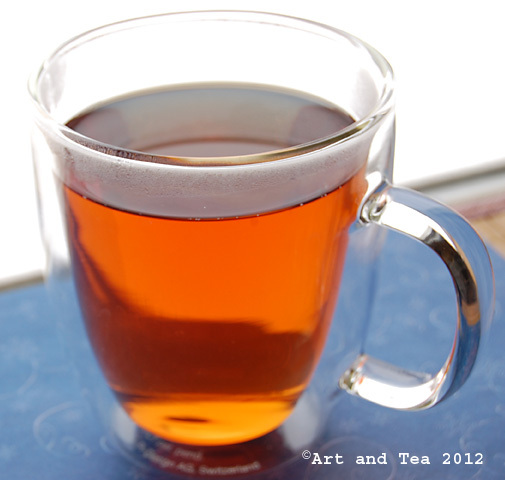 That sounds lovely, I like a Darjeeling in the morning for breakfast.